Pim hadn't decided exactly which drivers he wanted for his new project before he ordered the Coolbacks, but the configuration and the overall size were determined. The speaker would be dome tweeter, 2 x 5" midrange and 2 x 6"-6,5" bass drivers in a MTMWW configuration. 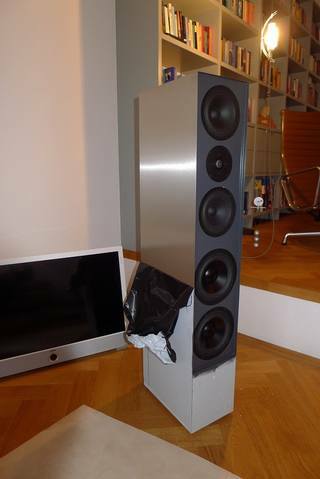 From the beginning Pim was going for the Peerless HDS tweeter and for certain the Wavecor SW182 for bass. The question was the midrange should it be the PRO driver Beyma 5G40ND or a ScanSpeak 15W or a Seas ER15...? I recommended to stick with one of the Hi-Fi drivers as it would be easier to match with the other Hi-Fi drivers in the speaker. Pim had good experience with the Beyma 5G40, but ended up with SB Acoustics SB15NRX and kind of took my advice in the end. The choice of tweeter were also changed to a Visaton KE25SC along the way. 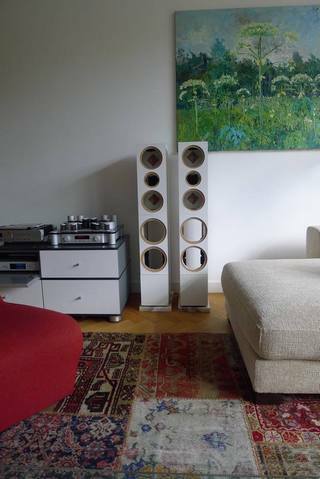 Pim is still considering changing the midranges to the W15CY001 which was used in his old speaker very, but the costs of four of them is a bargain..!! Pim had some concerns about load / impedances for the amplifier modules and he started out before he consulted me. 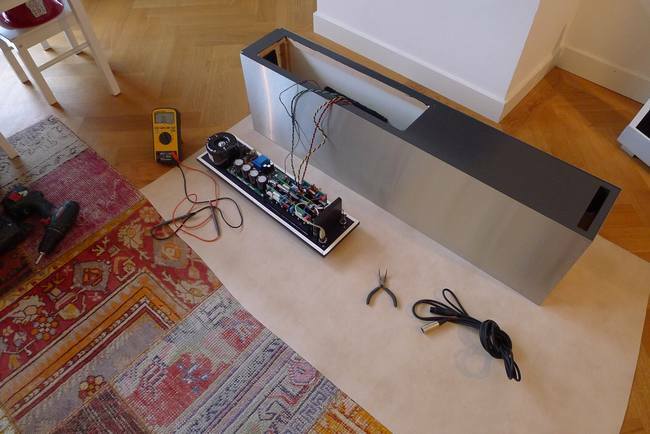 He didn't want to load the amplifier modules of the Coolback II 300 to hard and decided to put the midranges and the bass drivers in series (all 4 ohms versions). I persuaded he to put them in parallel as this would give he much better dynamics and as long as he do not use the loudspeakers for disco there will be absolutely no risk concerning the amplifier modules. A great sound even with a provisional crossover at 150 and 2500Hz. Tight bass, mid and high are silky smooth with hard paper cones (SB Acoustics) and ceramic tweeter (Visaton). Good detail, but not yet as Seas Excel. It will get a bit better once it has played more suppose. The Coolbacks are playing great, with one already modified: no resistors (back to standard). The other one follows this afternoon. I must admit the modified one (according to your recipe) sounds really crispy. The Coolback II 300 does not mind low impedance at all!! I like this kind of modern/fusion etc. Bob James, Pat Metheny. But also I like classical, Mozart and piano (esp. Chopin). Also small classical, which we attend often "live". Later I will try Edvard Grieg Peer Gynt, Hall of the Mountain King, a real test for the "dynamics" of all speakers! Hi Robert, by now they are both modified (without the resistors and the units in parallel) and all is working properly. The sound is really nice, smooth and dynamic at the same time, even without measurement. I have only compensated for two room modes, a mild surround resonance of the mids and the difference in gain of the different amps. The power supply has more than enough steam for the two PA3CC and the PA1CC. I did not hear distortion even at higher level (and the two SW182 4ohm in parallel should not be easy to drive..!) 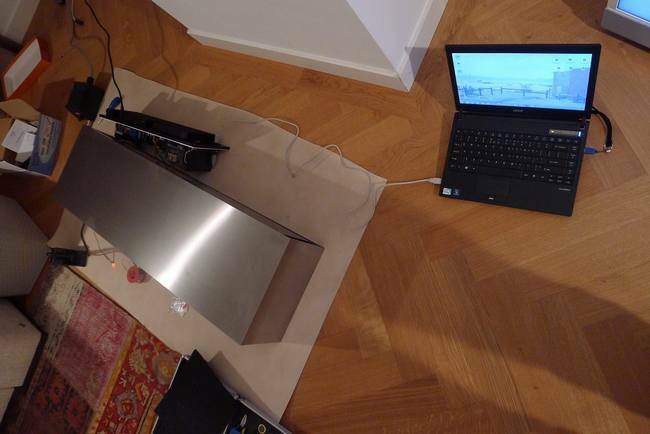 The room is about 50sq meter. Okay, I've driven them very loud for some time now. Great sound and tight bass at nearly 2Ohm!! I just enjoy listening (Miles Davis for now!!) Great sound! 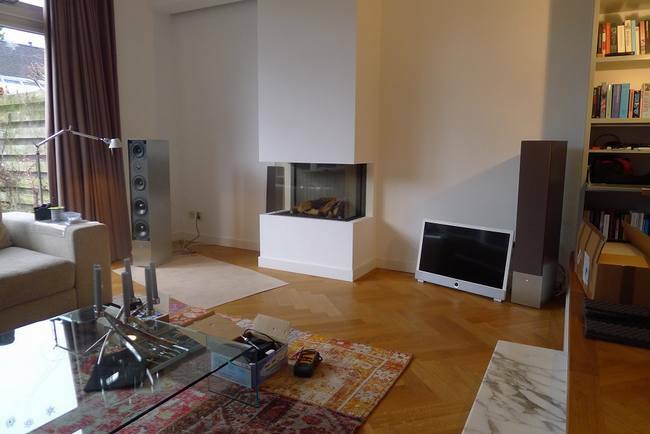 Thanks Pimster for choosing the Coolback II 300 for your second active loudspeaker project !